West Africa’s biggest mining and power event begins on May 30 in Ghana with hundreds of mining leaders set to join some of the world’s top suppliers. 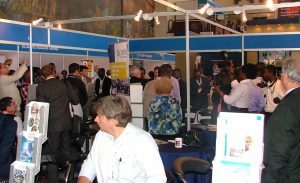 WAMPOC 2018 offer s full two-day conference programme alongside the West African Mining & Power Exhibition (WAMPEX) which runs for three days in the capital city. The expo is celebrating its 24th year and pre-registration numbers are at a record high, with the organiser dmg events predicting a busy show. On the first day Wednesday May 30, His Excellency the President of the Republic of Ghana President Nana Akufo-Addo is the special guest of honour, marking the 90th anniversary of The Ghana Chamber of Mines, and he will make a keynote speech to delegates in the morning. 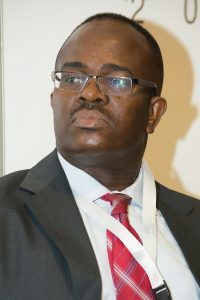 The full programme for WAMPOC has drawn senior industry leaders from across the region and speakers including Sulemanu Koney, CEO, Ghana Chamber of Mines. Other speakers this year include Dr Koduah Dapaah, Chirano Gold Mines Ltd, Fred Attakumah, Sandvik, KITE, Stanbic, GSE, Mark Addo, Georgette Barnes, Women in Mining, Dr Toni Aubynn, Africa Institute of Extractive Industries, Ben Aryee, Advisor to the Minister, Newmont, ACET Issa Dominique Konate, Special Advisor for Energy, Mines and Quarries from The Office of President of Burkina Faso and Prof. J S Kuma, Vice Chancellor, University of Mines and Technology. WAMPOC session chairman include Kwame Addo-Kufuor, President, Ghana Chamber of Mines and the Regional Chief Financial Officer, Newmont Africa as well as Joe Zvaipa and Fred Attakumah, both from Asanko. “Investment opportunities abound in the fields of mineral exploration and mining – for a variety of minerals – as well as in the engineering support sectors,” said Addae Antwi-Boasiako, CEO of the Ghana Minerals Commission. West African mining has seen renewed confidence over the past 12 months as both government and the private sector pledged investment and support, according to Brad Hook, Commercial Director for dmg events, the co-organiser of the event in Accra. The Chamber of Mines is an organising conference partner for WAMPOC 2018 and CEO Sulemanu believes mining in his country must play a key role in its national development as well as the economies of countries cross West Africa.